Living in uncertainty is never ideal especially if you have a family to look after. And that’s exactly what Capetonians have been doing for the past few months. With water sources scarce and water restrictions stringent, everybody is looking for ways to save and collect water in case municipal water is cut off. Day zero has been moved to somewhere in July but it’s not clear if measures taken are of permanent nature or if we’ll be faced with the same conundrum come summer. Either way, you can avoid the possibility of being left without water and having to queue for hours for your share of water for the day. By installing a rainwater collection system you can accumulate rainwater this winter to get you through the summer. It’s as easy as getting in touch with Water Storage Cape Town and having your own water storage solution connected to your council water supply point. Water Storage Cape Town also offers other solutions such as borehole conversions. If you have a borehole installed on your property or plan on getting one, you can use that water source for more than just watering your garden. A filtration system can be connected and your borehole water can be used for the same purposes as your municipal water source, including consumption. Leaving your water source in the hands of someone else is like playing the lotto. Chances are you will probably not win. Take control of your water supply by getting the help of Water Storage Cape Town. Let them install your rainwater collection system so you too can have peace of mind for the future. Get in touch with the team by giving them a call or by requesting a quote online. South Africa is currently drought-stricken in many parts of the country and everyone is looking for water storage solutions to avoid running out of water. Cape Town is on level 6B water restrictions as we speak, which means individuals can only use 50 litres of water per person per day. To put this in perspective, one flush of the toilet uses 9 litres of water, one load of washing in a front loader uses 54 litres. Thus, 50 Litres of water isn’t much when you do the calculations. More and more people are looking at finding other water sources such as boreholes and while it’s a great option, installing a borehole on your property can be a costly exercise. If you have one, however, a borehole conversion might be the answer you’ve been looking for. 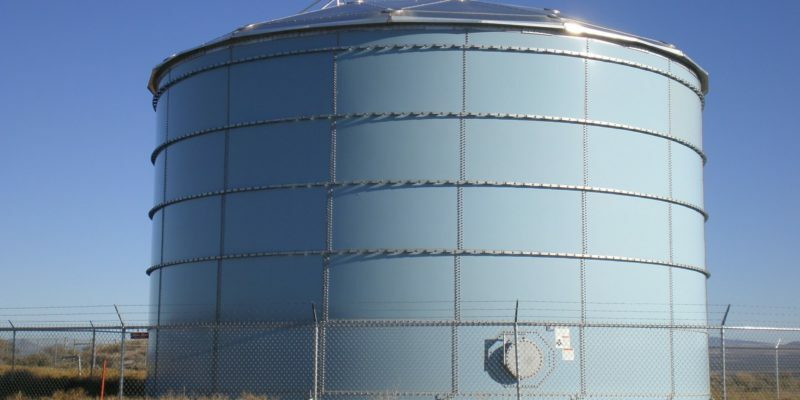 So what other water storage solutions are available? Water Storage Cape Town offers a solution that might be right for you. By installing a backup system from your current municipal water source, you too can have running water should your water be disconnected. A water tank, that is connected to the council water supply, is installed on your property. A pump is connected which feeds the water into the main supply of your home. The tank gets filled and topped up with council water and once the taps run dry, water from the tank is pumped into your home. It can also be connected to a rainwater system and a filtration system to make the water safe for consumption. Don’t be caught unprepared when there are viable water storage solutions available. Take control of your water source and speak to the team at Water Storage Cape Town today. Get in touch by giving them a call or request a quote on the website.